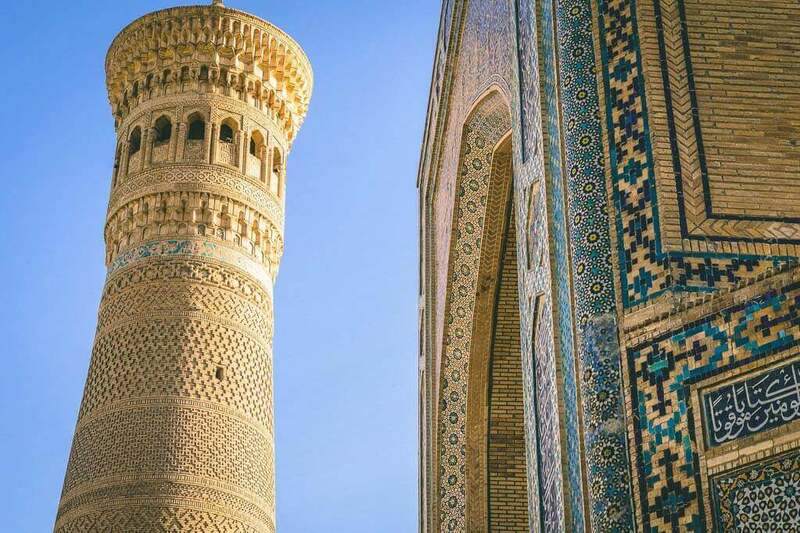 Take a guided tour to explore Samarkand, Bukhara and Khiva, the gems of the ancient Silk Road. Transfer to hotel. Many flights arrive early in the morning, so you’ll have time to take a shower and rest before meeting with your group and the tour leader in the hotel. 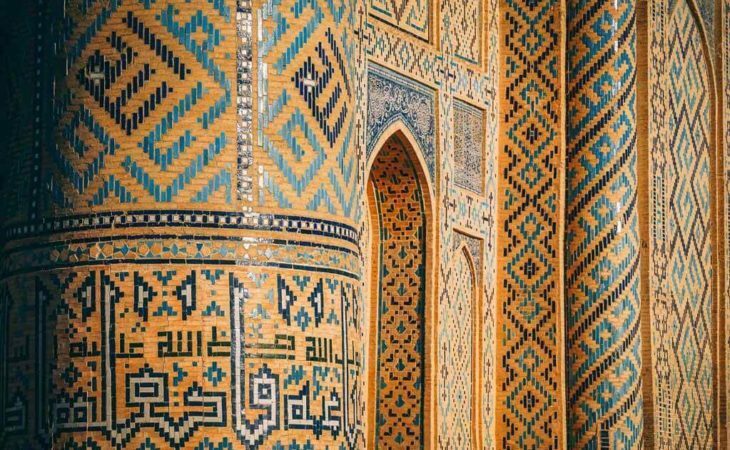 After introductions and breakfast, it’s time to begin your journey through fascinating Uzbekistan. 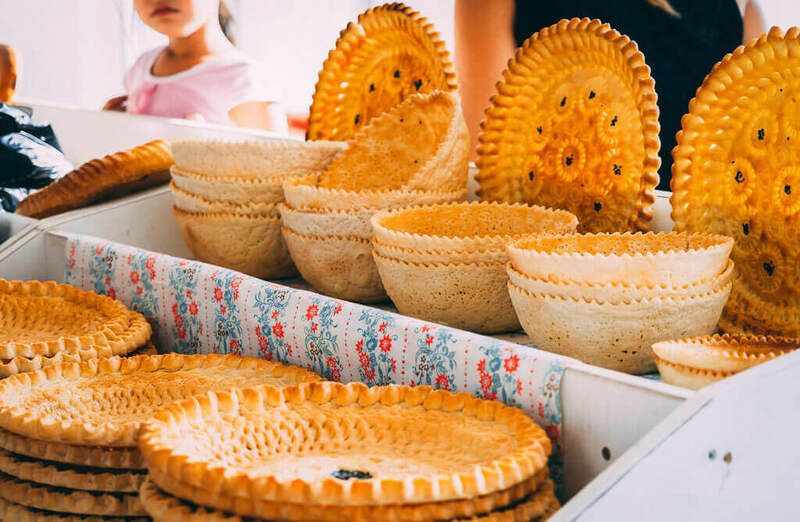 Where better to start than a tour of Tashkent? 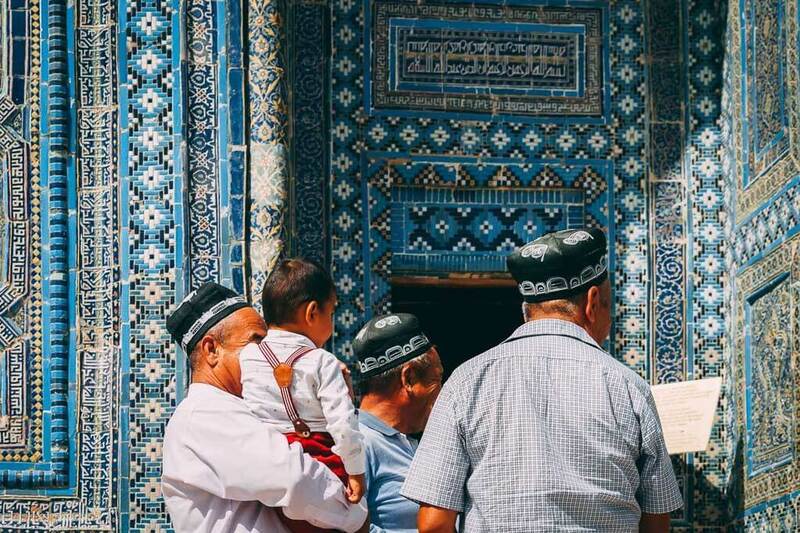 The largest city in Central Asia is a curious blend of Islamic and Soviet influences. 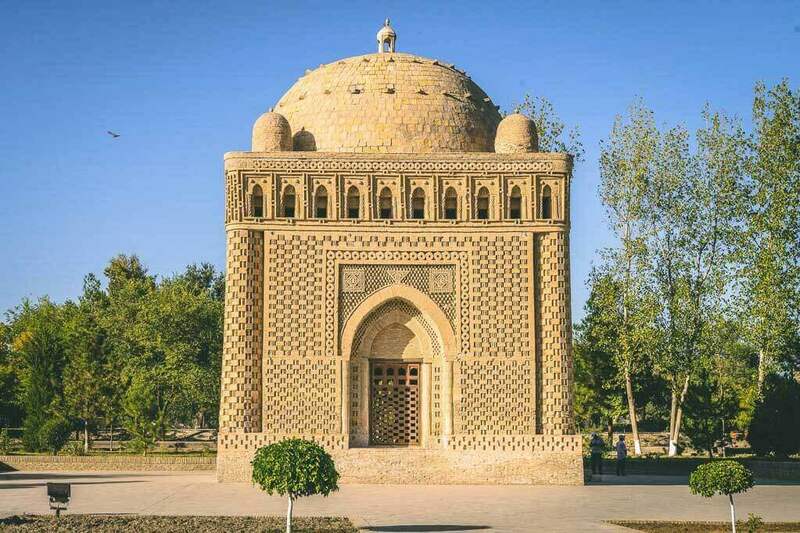 Visit the Old City area of Tashkent where you will find the Khast Imom Complex which contains ancient holy Quran of Caliph Osman. 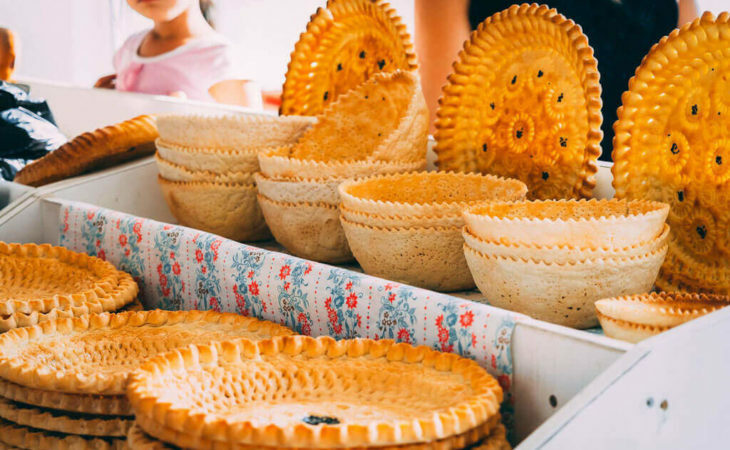 Experience the bustling crowds of traders at Chor-Su Bazaar. 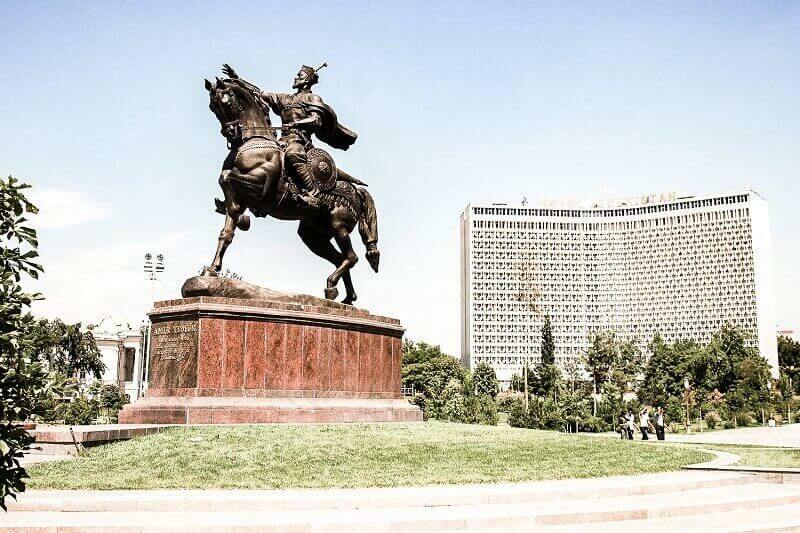 Visit Amir Temur Square to view the statue of the great conqueror and next to it, the grand Independence Square. We complete the city tour of Tashkent with a visit to the Applied Arts Museum. Today we need to get up very early to catch domestic flight to Urgench, departing 07:15. Your new guide Umid will be joining you from now on. Upon arrival at Urgench Airport at 08:55 transfer to Khiva (ca. 40 min). After breakfast start walking tour of the city. 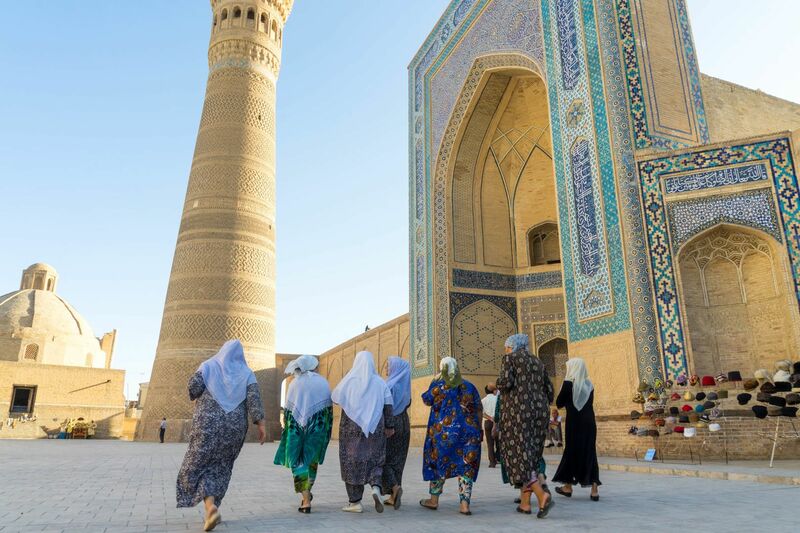 Khiva is bursting with historical sites – and today you will get a chance to see them all. 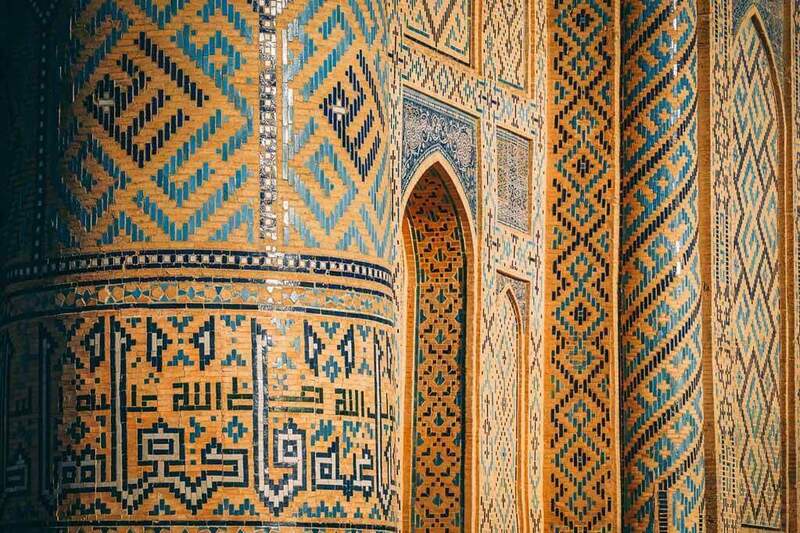 We will visit the walled inner-city section of Khiva called Ichan-Kala. This old section of town preserves more than fifty historic monuments and hundreds of old houses dating back hundreds of years. The entire citadel is protected as a UNESCO World Heritage Site. As you walk through the enormous city gates, you are confronted by the glistening Islamic beacon, the Kalta-minor Minaret. 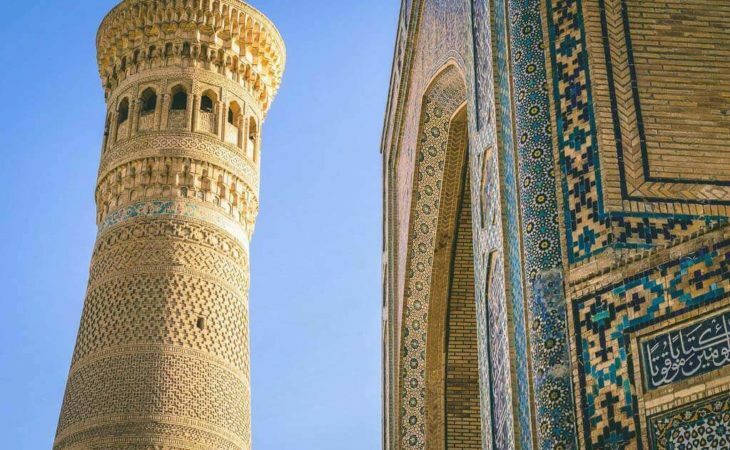 Delve deep into the town on a guided tour that embraces all of the city sites, and includes an ascent of the Islam Khodja Minaret, the highest minaret in Khiva. 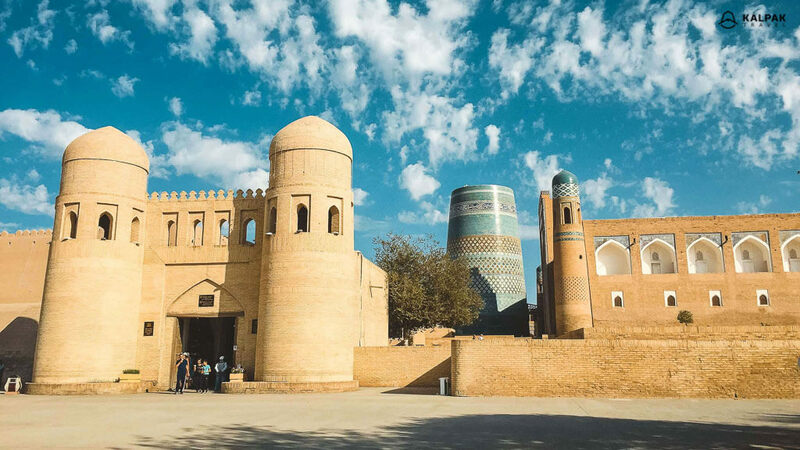 Enjoy broad views of Old Khiva atop the Kunya-Ark Citadel. Some free time in the morning. At 11:00 check out from hotel and depart towards Toprak & Ayaz Kala, clay ruins of ancient Khorezm in the desert. First we drive 2 hours to Toprak Kala, ancient capital city of Khorezm around 2nd century AD). From there it is another shaky one hour drive to Ayaz Kala. According to archeological excavations, the Ayaz Kala fortress dates from the 2nd century BC. It was part of a system of border fortresses which stretched as a chain from east to west and which defended the Khiva oasis from the desert side. Transfer to nearby Urgench, where you will have dinner first and then take a flight to Bukhara, departing 21:00. Upon arrival at 22:00 at Bukhara airport, transfer to hotel. 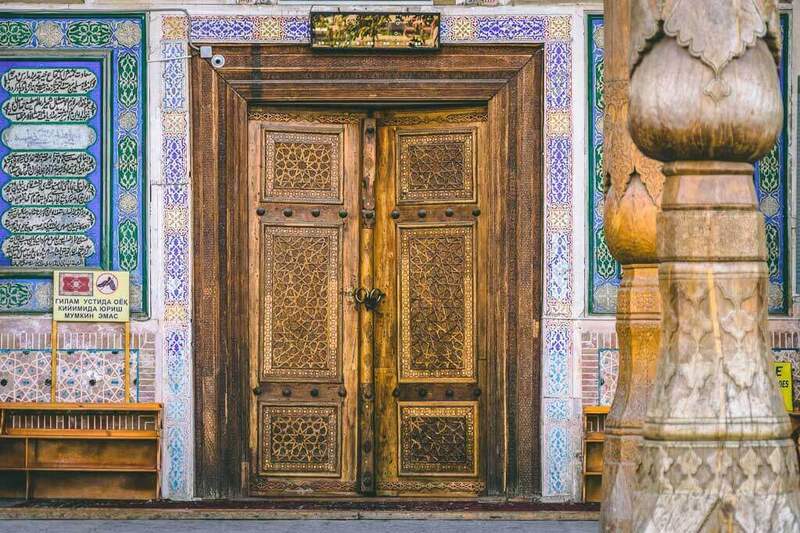 The second of our UNESCO World Heritage stops – even the very name Bukhara conjures up images of the exotic Orient. For centuries, it was an important trading post and academic center. The Old Town has been well preserved and is crammed full of minarets, mosques, and madrassas. Its once notorious canals and pools, the source of many an epidemic, have now been drained but the most famous, Lyabi-Hauz, is still there, an oasis shaded by mulberry trees at the heart of the city. 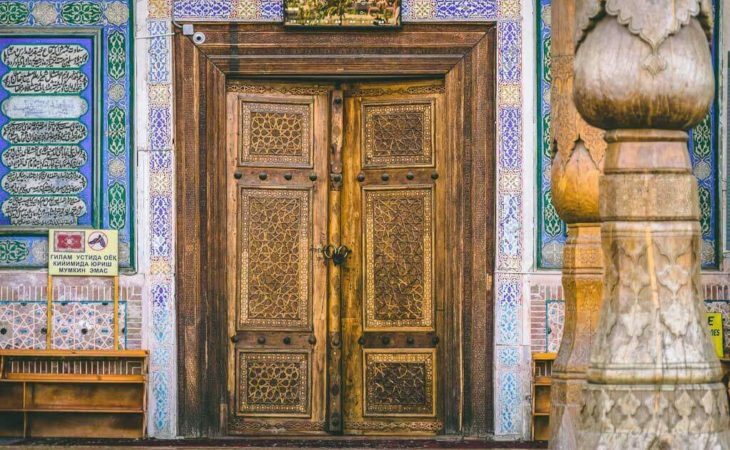 Your guide will show you the city’s unmissable sights and you can soak up the atmosphere wandering through Bukhara’s labyrinthine alleyways. 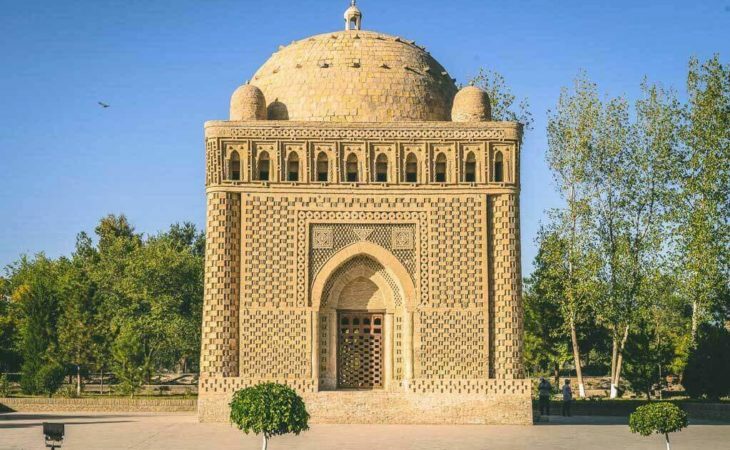 Sights that you will see on today’s walking tour in the Old Town of Bukhara: Minori Kalon complex, Ark Fortress, Bolo Hauz Mosque, Chiobs Mausoleum and spring, Bazaar, Mausoleum of the Samanids, and in the evening also the Synagogue and puppet workshop. Check out from the hotel and depart at 08:30 to visit the Mausoleum of Naqshbandi, 15km outside of the city center. 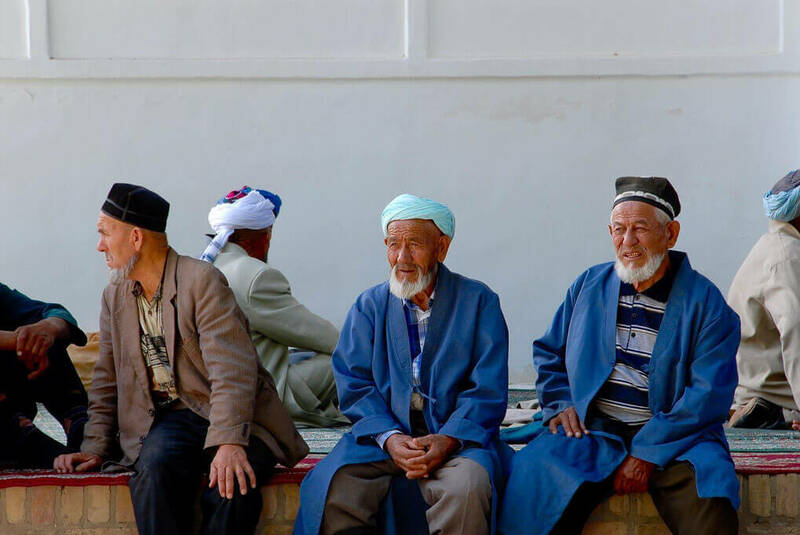 There are many orders in Sufism and representatives of all the orders were present at different times in what is Uzbekistan today. The Sufi order Naqshbandiyya had the greatest and longest-lasting influence and the memorial place is still well visited by pilgrims. 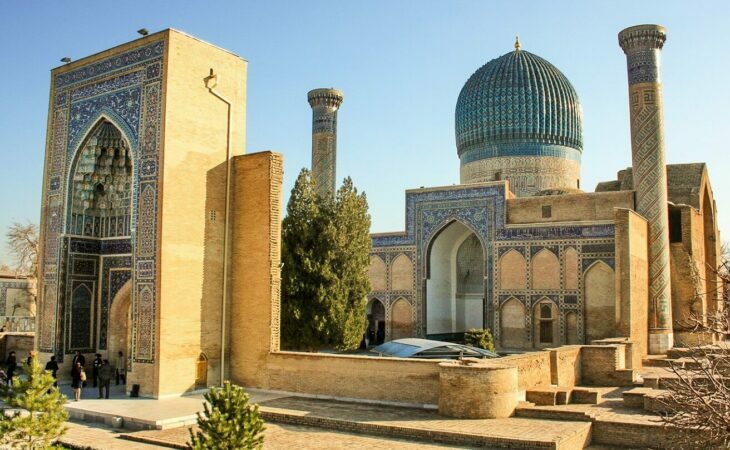 Next, around 11:00 we visit the summer residence of the last Emir of Bukhara – Sitorai Mokhi Hossa. 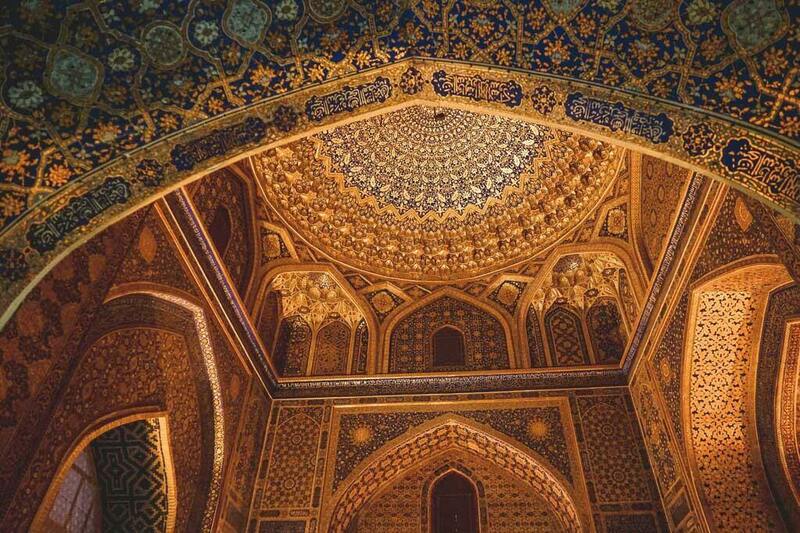 «The place where the moon meets the stars» is what the name of the palace means in Persian. At 12:30 on the way back to Bukhara we see Chor Minor madrasa, whose four minarets (chor – four) and the style remind one of India’s building style. Lunch in the city at 13:30. 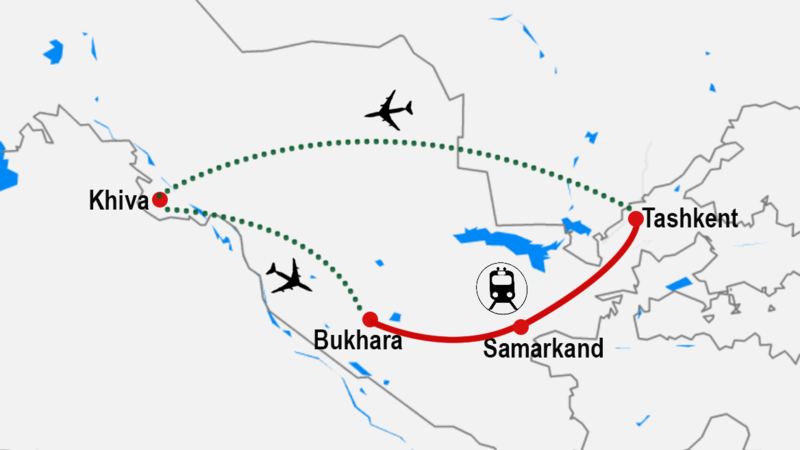 At 15:52 we take the high-speed train Afrosiob to Samarkand. Upon arrival in Samarkand at 17:20 transfer to the hotel for check-in and dinner in the city. 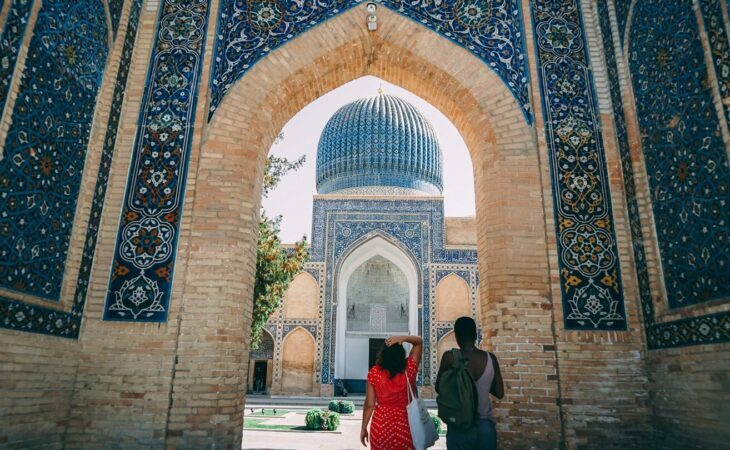 Sublime Samarkand evokes an almost mythical past full of romance and intrigue. This was the domain of Timur, one of history’s great conquerors. His vast empire rivalled any, stretching across the Eurasian steppe, who ruled his kingdom with an iron fist while at the same time patronizing the arts and literature. Much of his architectural heritage has been preserved, allowing us to see how the city might have been at the peak of his power. We start the city tour with a vist of Siyob Bazaar and the impressive Bibi Khanum Mosque right next to it. 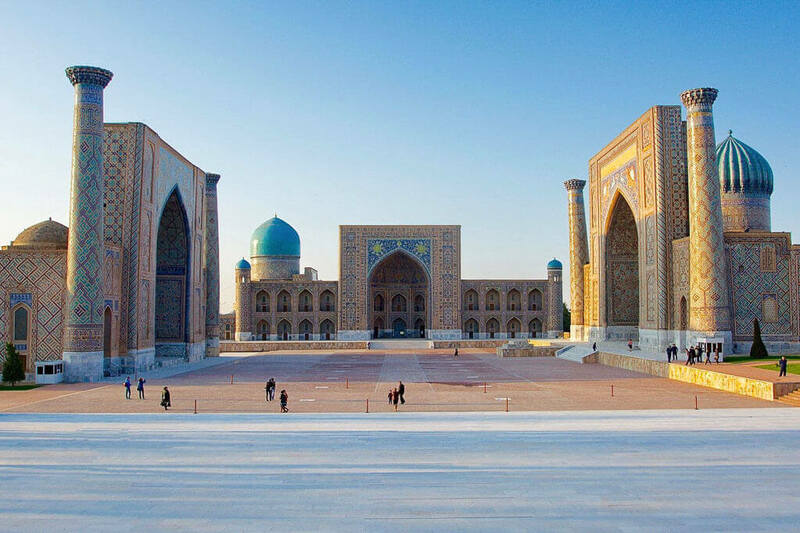 Then, finally you get to see Samarkand’s and arguably Uzbekistan’s most famous landmark, spectacular Registan Square. 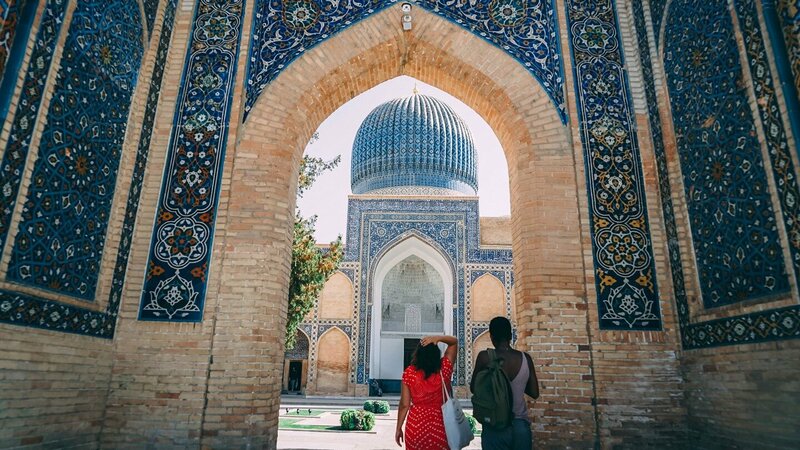 The focal point of ancient Samarkand is framed by three beautiful madrassas – Ulugbek, Sherdor and Tillya Kori. 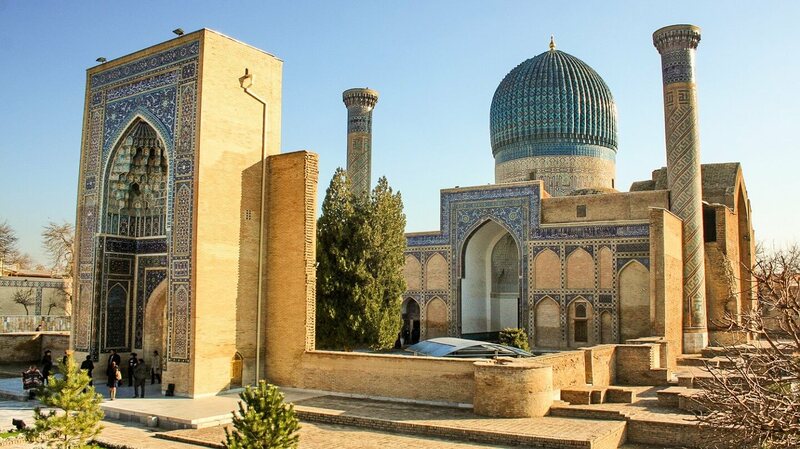 After lunch we will also visit Gur-Emir mausoleum, where Timur is buried. Free time in the afternoon. Dinner in the city. 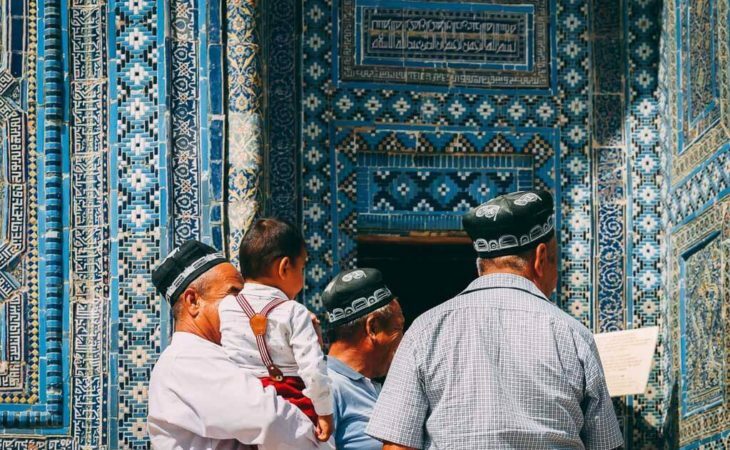 We begin the city tour on our second day in Samarkand just outside the city in the village Koni Ghil to explore the traditional way of making Samarkand paper from mulberry. Back in the city we then visit Ulgubek’s observatory, once the biggest research center of Central Asia. Ulugbek was decades ahead of the West with his observations of the solar system and the earth and we will learn more about his story in this prestigious setting. 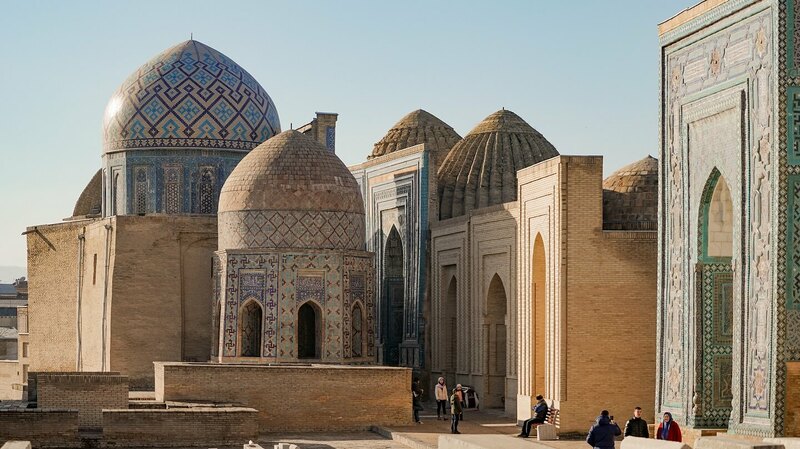 Our next stop is Shah-i-Zinda, the necropolis where family members of Timur are buried. 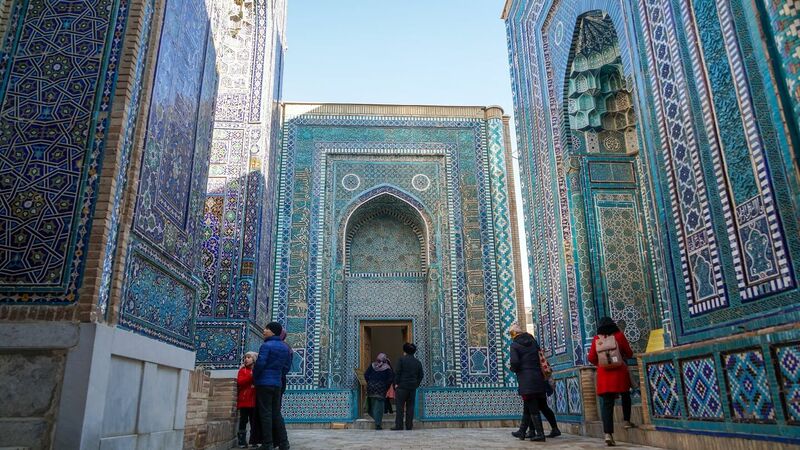 In the afternoon visit of Afrasiyab Museum, where you can learn more about the ancient city of Samarkand – then known as Afrasiyab – that was destroyed by the Mongols in early 13th century. Free time. At 17:30 departure from Samarkand by Afrosiyob high-speed train. Upon arrival in Tashkent at 19:40 dinner in the city, then transfer to hotel and check-in. Check-out from the hotel before noon. Free time until transfer to Tashkent International Airport. The Uzbek currency is called the Som (UZS). There are few ATMs in Uzbekistan and even then, most do not accept any card other than Visa. Stores and restaurants typically do not accept credit cards. We recommend you bring all money in cash, preferably carrying new USD bank notes of different denominations. They will be easy to exchange – for the best rates ask your guide – and you will be able to pay directly with USD for some souvenirs. An emergency fund of around 500 USD in cash is always good to have during trips to Central Asia. 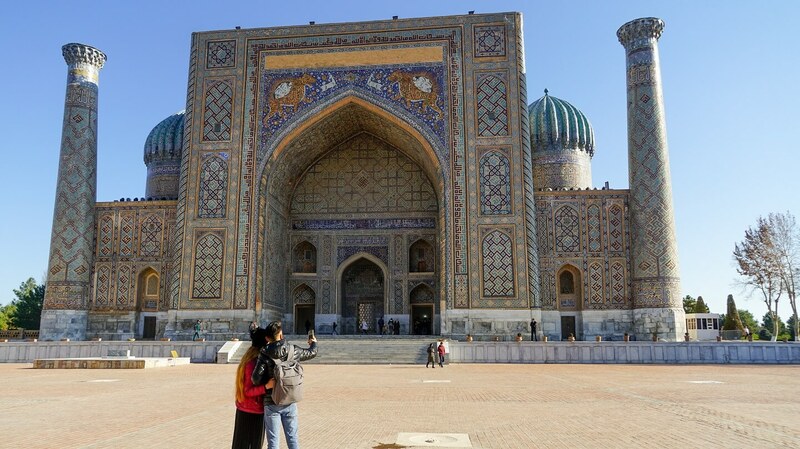 Uzbekistan is a safe country and most trips are trouble-free. There is a visible police presence and most citizens are law abiding. That said, you are advised to wear a money belt, watch your belongings, steer clear of dark streets at night and avoid taking rides in unofficial taxis alone. 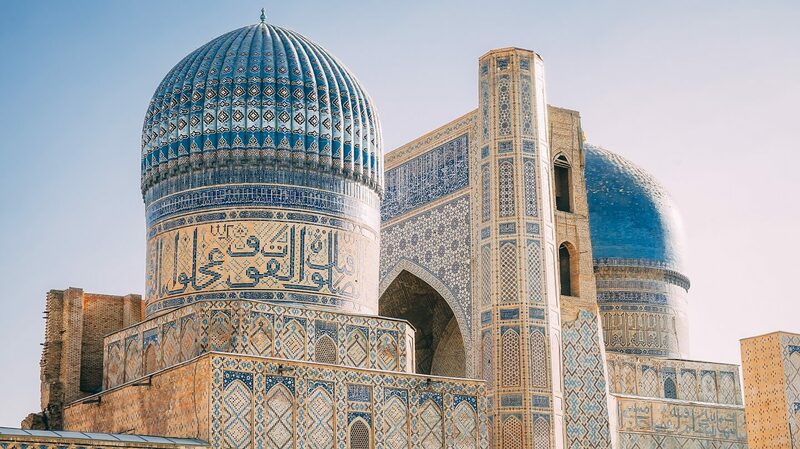 Your safety is our first priority at Kalpak Travel; we know and regularly assess all our Uzbek partners and we closely monitor political events. Andorra, Canada, Iceland, Mongolia, San Marino, Argentina, Chile, Ireland, Montenegro, Serbia, Australia, Croatia, Italy, Netherlands, Slovenia, Austria, Czech Republic, Latvia, New Zealand, Slovakia, Belgium, Denmark, Liechtenstein, Norway, Spain, Bosnia & Herzegovina, Estonia, Lithuania, Poland, Sweden, Brazil, Finland, Luxembourg, Portugal, Switzerland, Brunei Darussalam, Greece, Malta, Republic of Cyprus, United Kingdom, Bulgaria, Hungary, Monaco, Romania and Vatican. 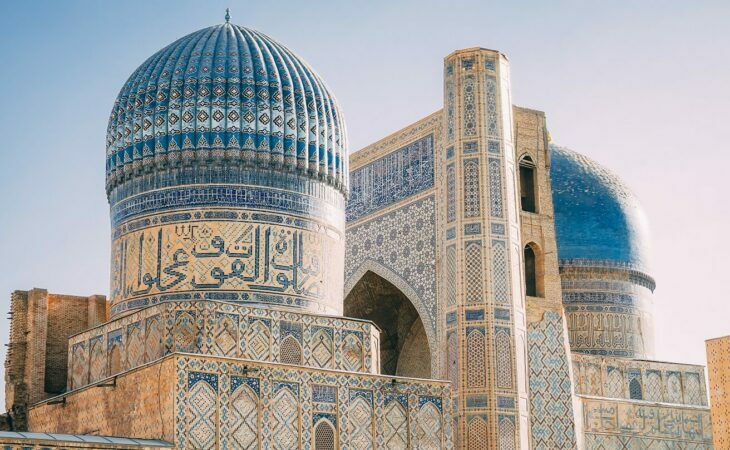 More information about e-visa on our Uzbekistan visa blog. The climate of Uzbekistan is continental and dry. The best season to visit is during spring and autumn, from mid-March until early June and then again from September until early November. Autumn is drier than spring, but even in spring chances are high you can enjoy the bluest sky you have ever seen. Autumn is also the time when the country goes to harvest, meaning markets are full of fresh fruit and vegetables. If you don’t mind the dry heat of 40°+ Celsius, summer is the best time to go. There are few tourists and the sky is blue every single day. 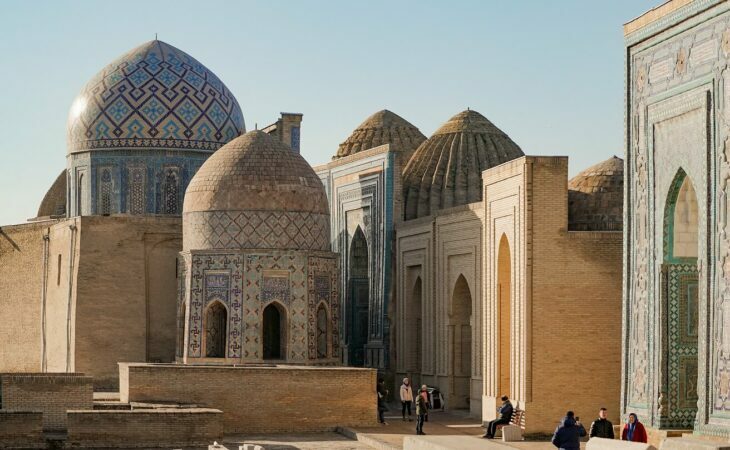 If you consider visiting Uzbekistan in winter, having the country all to yourself, we recommend going in December, when day temperature is still around 10° Celsius and the chill wind that characterises January & February has not yet reared its ugly head. Do not drink water, unless it is bottled, filtered or boiled. Do not use it for brushing teeth or making ice either. Do not eat ice cream. Only eat well-cooked meat and fish, preferably served hot. Vegetables should be cooked and fruit peeled. If you follow these basic rules, you are likely to avoid any health issues like traveler’s diarrhea. 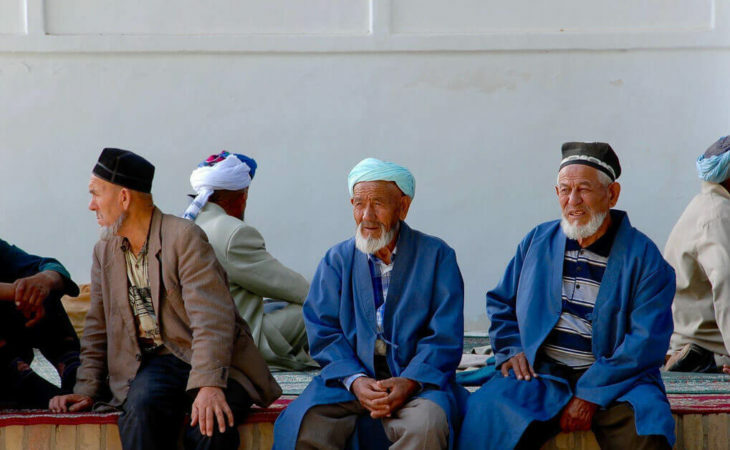 Diphtheria, Hepatitis A and Tetanus are recommended vaccinations for travelers to Uzbekistan.  Ensure you are fully insured for medical emergencies including repatriation. Medical services in Uzbekistan are basic at best. As soon as we receive your deposit, we will confirm your booking and send you additional pre-departure information. 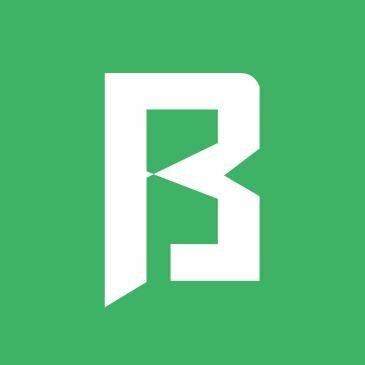 There you will find the full list of medicine that it is prohibited to import into Uzbekistan and also medicine which you can import only with doctor’s prescription. 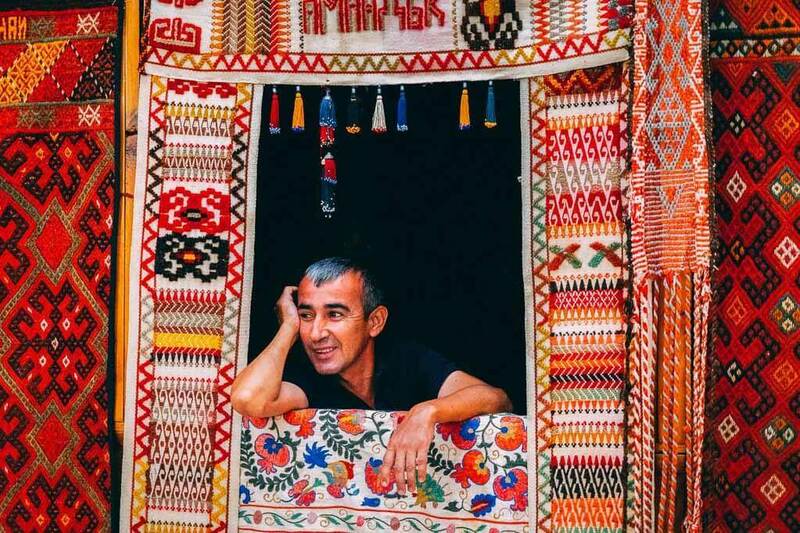 Spent a week with Kalpak Travel in Uzbekistan and it was incredible! 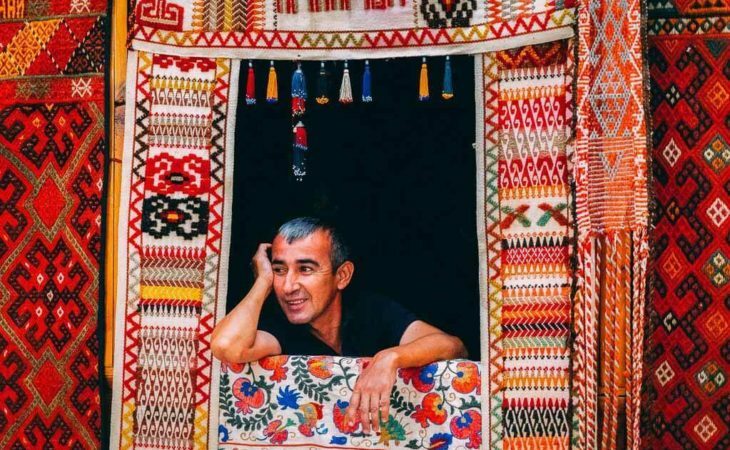 The team behind Kalpak travel are experts in Central Asia and they really went above and beyond to make sure we were getting the history that also went behind some of the country's most amazing sights. 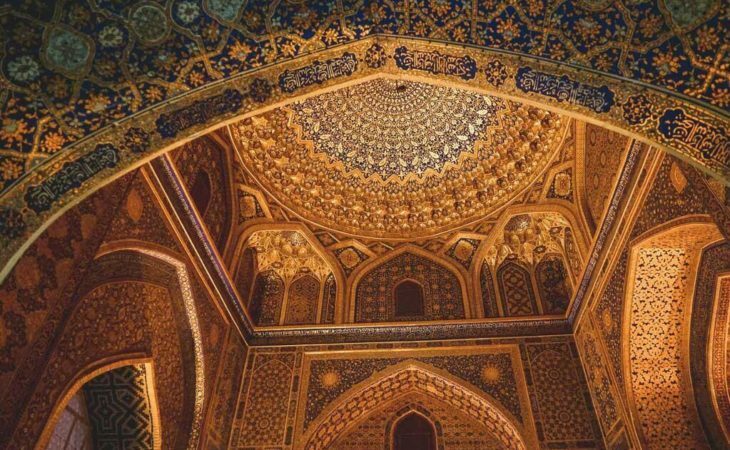 Highly recommend booking a trip with them if you're planning on visiting Central Asia! Absolutely great! We are a couple of travellers, not young anymore, what we always found is efficiency, high knowledge of the territory and great response to our needs. Even on road there were little changes which, of course, improved the quality of our services. What else can we say: try and you'll be sincerely impressed and satisfied. Last, but not the least, fantastic balance between cost and service. 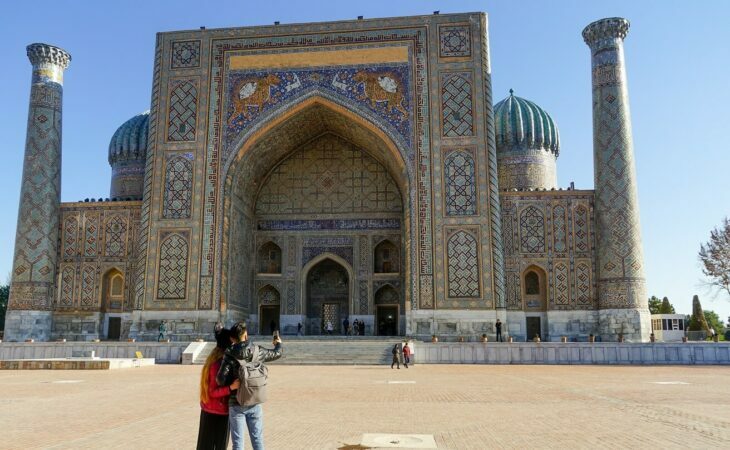 I recently finished an glorious 8-day tour of Uzbekistan with Kalpak Travel. Hardly anyone speaks English out there, so a private guided tour was the best way to see the country. A small group of us travelled around in a minivan. Our guide, Aijan, knows the country inside out, speaks fluent English, German, Uzbek and Kyrgyz, among others. She had the lowdown on all the best restaurants and the region's history. It wasn't your typical guided tour, it was more like travelling with a friend. Thank you Kalpak, for an unforgettable trip. It is refreshing to work with a company who knows Central Asia so well and brings much-needed professionalism to tourism in the region. 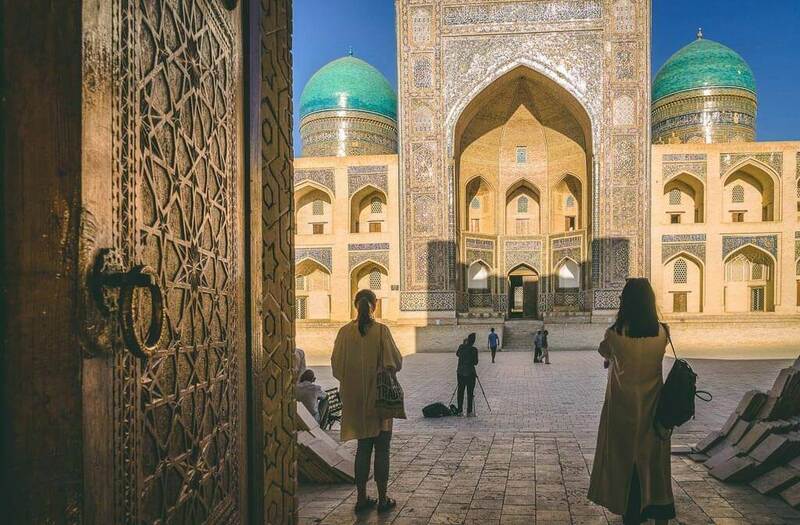 Central Asia -- and Uzbekistan in particular -- has a great deal to offer adventurous tourists and on a Kalpak Travel tour visitors will certainly get the most out of their trip.